A gentle, everyday shampoo designed for all hair types. In addition to cleansing, this shampoo is formulated to help with static and tangles by addition of effective conditioning agents and specially processed seaweed gums. Hawaiian ginger extract works to stimulate hair follicles, and neutral Henna extract softens and shines. Aloe vera gel is also added to moisturize. 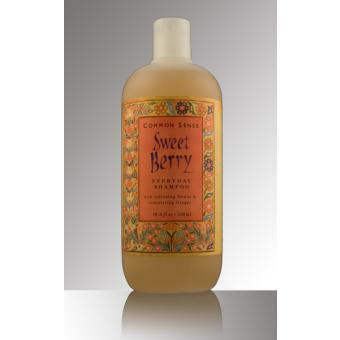 The fragrance comes from a sweet blend of essential oils. Use as often as you'd like - with or without a conditioner. Natural enzymes keep this shampoo safely preserved.